Stunning new beach, has opened and quickly became a favorite beach for everyone. Pandawa beach. A beautiful beach in a small village in the southern part of the island of Bali. Pandawa Beach is located in Kutuh, District of South Kuta, Badung regency, about 4 km (15 minutes) from the famous Nusa Dua and Uluwatu Temple. In the past, this beach is hidden behind a hill so called Secret Beach. When it really has been well recognized by some travelers. However, the difficult access to this location makes this beach is empty. And visitors to the beach, only a few foreign or domestic tourists surfers. 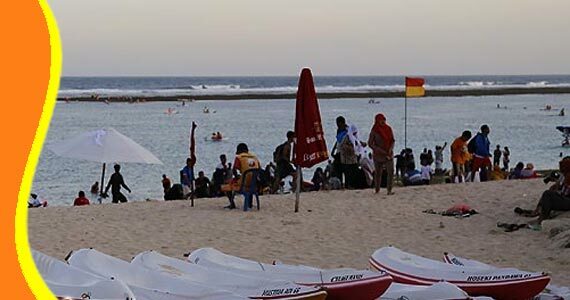 Fortunately, the regional government of Badung Regency - Bali, realized the potential of this beach and quickly then launched a new flagship tourist attraction. The results can now be perceived as better access to the coast are now becoming more comfortable for each vehicle. The Pandawa beach has a stunning panorama with calm and serene atmosphere. 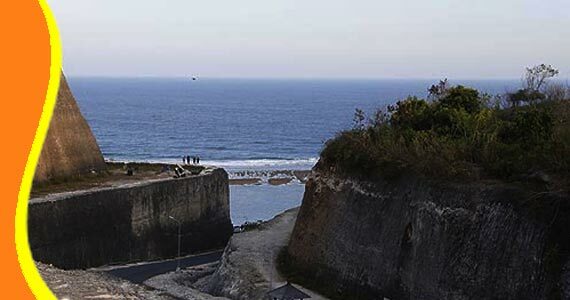 When entering the beach area, we will be amazed by the beautiful panorama of the high white chalk cliffs, flanking the road along 1 km. This road was built through the limestone hills in the village Kutuh, similar to the hills at GWK. Approaching the coast, artistically carved limestone hills a few statues of Pandawa characters from the story of Mahabaratha, as Yudhistira (Dharmawangsa), Bhima, Arjuna, Nakula, and Sahadeva. Therefore, this beach is called Pandawa Beach. 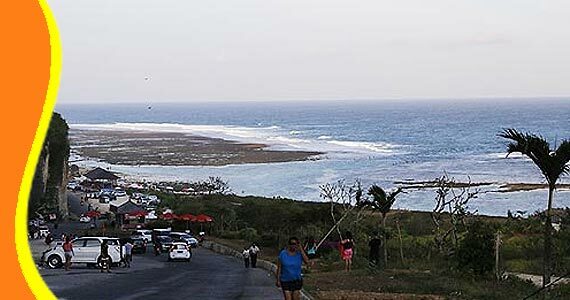 When entering Beach area, you will be amazed by the beautiful scenery in front of you. The sand on the beach is so white and clean combined with turquoise sea as background. The atmosphere was quiet, quiet, and clean. No trash, and if there are, they are only remnants of seaweed carried by the waves. This beach is perfect for swimming due to waves and currents are not so strong. 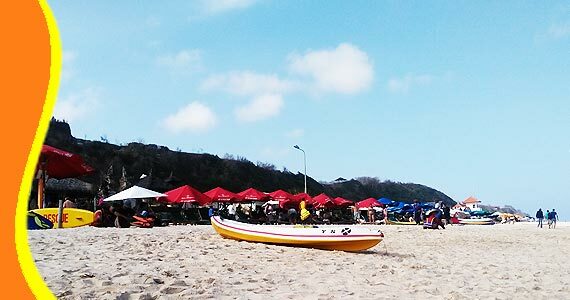 Various activities can be done in this white sand beach likes sunbathing, canoeing, and other watersport activities. 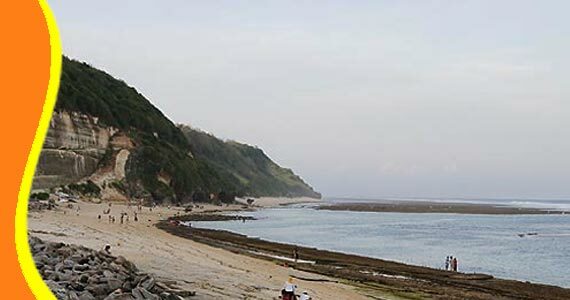 White Sand Beach and Limestone Rocky Hill is the panorama that you can enjoy in Pandawa Beach. In addition, there is also an interesting leisure activities in this area is called paragliding. If the weather is good and the wind is strong enough, you can see or try these activities directly. 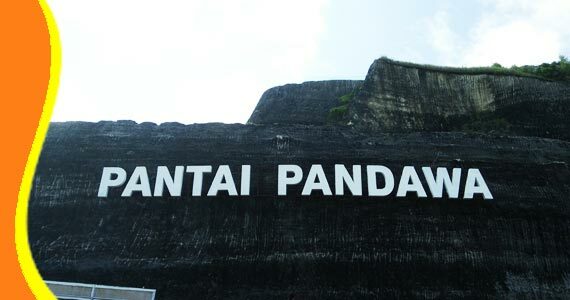 The location for the start of this work is not at Pandawa Beach, but on the Payung Hill is not too far from the coast. Typically, paragliding activity is carried out in a single day is in the afternoon, if the weather is eligible. While you paragliding, you will be able to see the true beauty of the Pandawas Beach from height. Tent Rental, Canoe Rental, Beach Chairs Rental and others facilities are available at Pandawa Beach. Pandawa Beach Entrance Ticket Fee, show on picture. 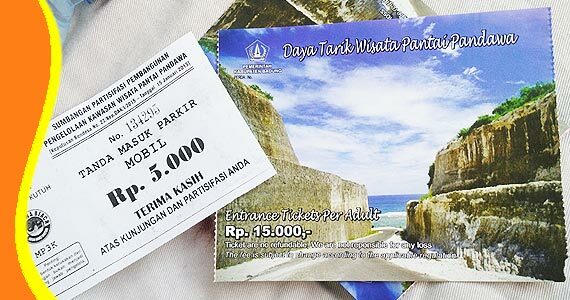 To visit the beach Pandavas, you can go from Denpasar or Kuta take the route towards Jalan Raya Uluwatu Uluwatu through until past the Garuda Wisnu Kencana (GWK). After about 1 km past the pedestal, you will find a crossroads. Turn left onto route to Nusa Dua or Bali Cliff. About 2 km ahead, you will find a T-junction with direction signs for Pandawa Beach on the left side of the road. Just follow the signs to the crossroads again. Pandawa Beach is near from here. Just turn right at the intersection and follow the road until you arrive at the beach Pandavas. For further explanation and the information about Pandawa Bali, Pandawa Tour, pandawa Transport, Visit to Pandawa Beach. Get a Bali Transport from your stay (Bali Resort or Bali Hotel). 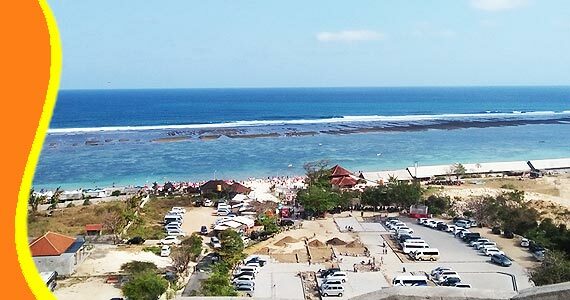 You can contact us if you need transport to go to Pandawa Beach and other related Bali tourist destination. Pandawa Beach View from the above, on the Hill. Tour to Pandawa Beach Bali can be combined and implemented in conjunction with other activities Trip or Tour in the same direction. - A chance of clothing. 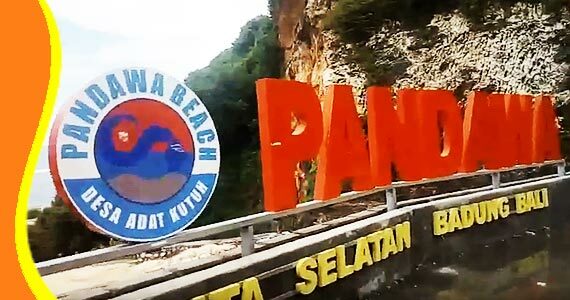 Watch the Video Player Youtube of Pantai Pandawa (Pandawa Beach) Bali, a beautiful beach in south of Bali. 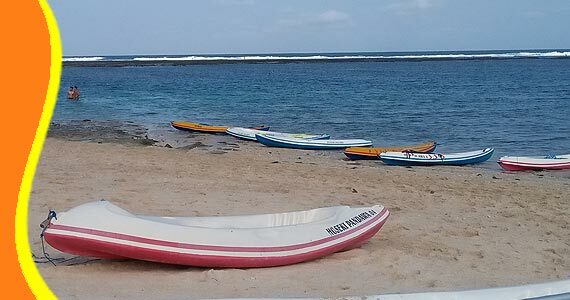 “Visit this Beach and enjoy all water sport activities (Mark - USA)"